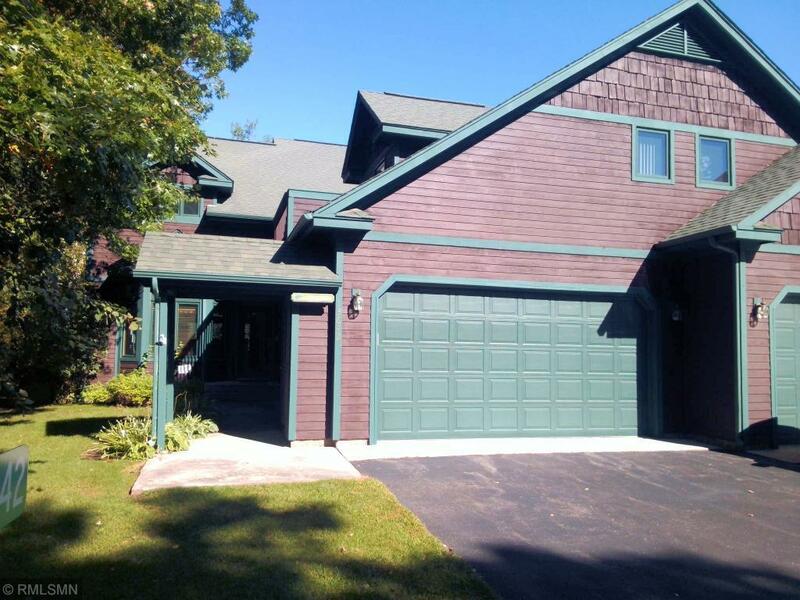 Enjoy maintenance free lake living at this four bedroom three bathroom East Shore townhome situated on Cross Lake on the famous Whitefish Chain. Features of this townhouse include one level living, an open floor plan, knotty pine vaulted ceiling, floor to ceiling stone fireplace, main floor master bedroom suite, main floor laundry and a finished upper level. Benefits of the Nelsons East Shore Landing association include 614 feet of shared lake frontage, 10 plus beautifully landscaped acres, outdoor pool and maintenance free lake living. Entertain family and friends on the deck right off the living room and take in the warm summer sun. Enjoy your time boating, fishing, swimming and all that the Whitefish Chain has to offer. You will love that this property is minutes from all of Crosslake’s amenities that include fine dining, shopping, golfing and walking paths.